Blair Waldorf celebrates her birthday on Gossip Girl November 1, 2010. We don't sense a quiet night out will mark the occasion. 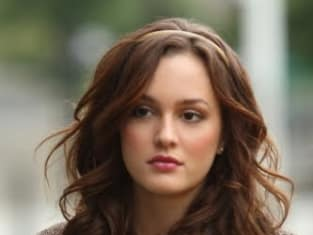 Gossip Girl Season 4 Episode 7: "War at the Roses"
Gossip Girl Photo Gallery: "War at the Roses"
What part of J. Mendel did you not understand? Permalink: What part of J. Mendel did you not understand? You put gladiolas in my cabbage roses? The Waldorf's is not a Best Western! Gossip Girl Round Table: "War at the Roses"